The Man From U.N.C.L.E (2015) Review | Warped Factor - Words in the Key of Geek. Nicholas Brent, we have a situation here that needs your special talents. Are you free? 2015 certainly seems to be the year of the spy/action genres; to kick off the year in January, we saw the return of Liam Neeson as Bryan Mills in 'Taken 3', and then Johnny Depp appeared in 'Mordecai' - both films however, left a lot to be desired. However, at the end of January, we were treated to Colin Firth and Taron Egerton in the suave and sophisticated yet incredibly (and brilliantly) violent, ‘Kingsman: The Secret Service’ and then in June, Melissa McCarthy and director Paul Feig teamed up once more and gave us the surprisingly decent and funny ‘Spy’. Tom Cruise then once again stepped into the shoes of Ethan Hunt in the brilliant 'Mission Impossible: Rogue Nation'. 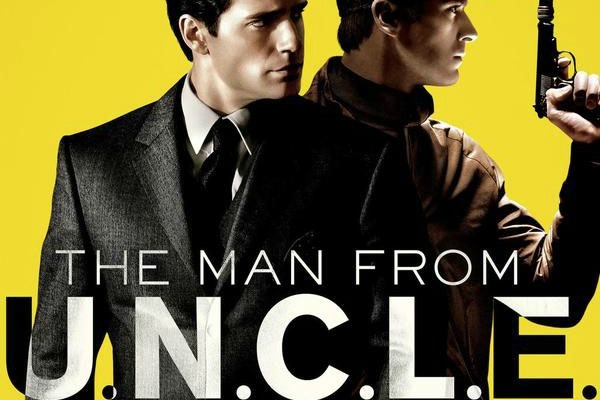 ‘The Man From U.N.C.L.E.' is the first of two films of this genre (the other being another attempt at bringing Agent 47 from the popular game series, ‘Hitman’ to the big screen) that I am interested in seeing between now and the release of ‘SPECTRE’ in October, but does Guy Ritchie’s remake of this 1960’s TV show continue this trend, or does it miss the mark? In short, yes, this big screen remake is, for me at least, a success and is definitely a good addition to the trend, which I shall now call : ‘2015: The Year of Spy Movies’ (a poor title, I know, but I could probably squeeze a written piece out of it in December!). Being someone who isn’t overly familiar to the original TV series, I am unsure of just how close this film adaption was to it’s older brother, fortunately however, Ritchie doesn’t depend on the viewers having any previous knowledge of the show to understand and enjoy this big screen adaption. Despite not being familiar with the original show, I was slightly annoyed at the lack of the original theme song (I hope Dad's Army, next year, doesn't make the same mistake), though that’s only a minor niggle. 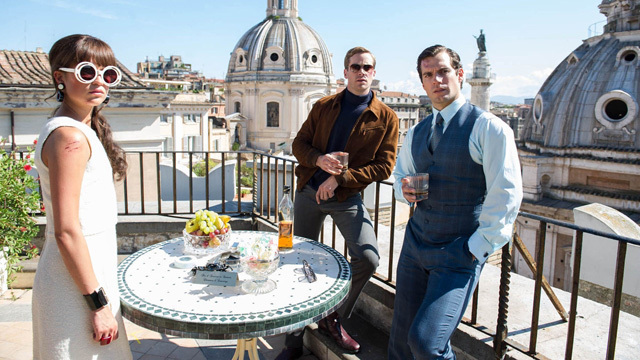 To open the film we are greeted to Napoleon Solo (Henry Cavill) - a suave thief who has become an undercover CIA operative, and Illya Kuryakin (Armie Hammer) - Solo’s stern KGB counterpart. The opening sequence is set in East Cold War Berlin with Solo and Kuryakin chasing each other (unbeknownst to the fact they’ll soon become allies) as Solo tries to smuggle Gaby Teller (Alicia Vikander) - the daughter of the missing scientist - across the Berlin Wall. The sequence also includes the first of multiple chases; a car chase between Solo & Teller, and Kuryakin. It isn’t as loud as the later chases or anywhere near the scale of the chase sequence of ‘Rogue Nation’ but it is, however, a parallel to Solo himself; it’s actually quite sophisticated. Solo and Kuryakin soon find out that they will have to work together alongside Teller to locate her father who is being used by Victoria Vinciguerra (Elizabeth Debicki) who is trying to acquire a nuclear weapon. Solo must pose as an art thief and Kuryakin must pretend to be a Russian architect and fiancé to Teller as they visit her Uncle in Rome; the only person who can tell her where her father is. Many critics have complained that the 3 leads have poor chemistry with one another, but I am inclined to disagree - the idea was that the characters were supposed to have a pretty tense relationship and I thought they played that really well. I was particularly fond of Hammer as Kuryakin and I enjoyed the contrast between his colder tone and Solo’s more charming nature. Vikander is stellar as the leading lady and her charisma gave her great screen presence. ‘The Man From U.N.C.L.E’ gives Pierce Brosnan’s James Bond a run for his money in the suaveness department, and in the double entendres department too! The villainous Vinciguerra is the main culprit as she rattles multiples off in nearly every scene she is in - they are however relatively subtle but still very funny and nowhere near as bad as ‘Die Another Day’! The action scenes were all fantastic and were full of the classic Guy Ritchie quirks, and made me love it all the more because of them. The editing was on point too and it made fantastic use of split screens. The flashback sequences did get tiring quite quickly but were fun nevertheless, and there were a few historical inaccuracies, however, I don’t think the film was worse off because of them. The plot did have little impact - it’s pretty much your bog standard ‘this person has a nuke, stop them and the bomb’ plot, but it worked well enough. Personally, I think ‘The Man From U.N.C.L.E.’ relied a bit too heavily on style over substance - the cast, scenery, beautiful cinematography and soundtrack which really does transport you to the 1960’s, the clothes, cars etc were fantastic but they all seem to take centre stage over the plot and I can’t help but feel that ‘Kingsman: The Secret Service’ did that better. This film is still very entertaining and is a somewhat quirky spy movie - something that I have missed during the current era of James Bond. It is an enjoyable action film and is very funny in places and I am definitely looking forward to seeing the inevitable sequel. 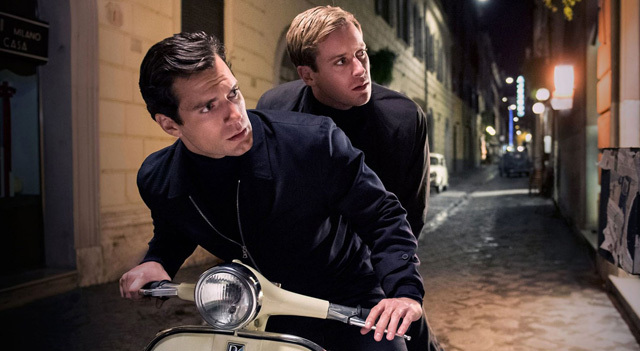 I give ‘The Man From U.N.C.L.E’ 3 and a half stars out of 5. Labels: Armie Hammer Guy Ritchie Henry Cavill Movies Nicholas Brent Review The Man From U.N.C.L.E.